Search Engine Optimization (SEO) has become an incredibly popular term in marketing, but many lawyers (and most business owners) are still confused about what SEO is and how to hire the right SEO consultant. Furthermore, having an online presence is not all about SEO. Online marketing can be frustrating and confusing, but it is essential for almost all law firms today. So where should lawyers start? 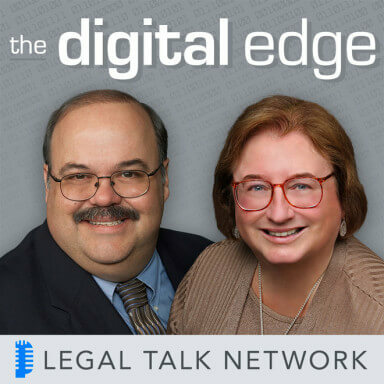 In this episode of The Digital Edge, Sharon Nelson and Jim Calloway interview attorney and marketing consultant Jennifer Ellis about what SEO is, why it is so complicated and expensive, and steps lawyers and law firms can take to start marketing online. Fundamentally, she explains, SEO means optimizing your law firm’s website so that people searching for your services in your area will find you on the results page. For example, if you own a family law firm in Phoenix, you want people who are searching in Google or Bing for “How do I find a divorce lawyer in Phoenix?” to find your law firm in the results. Due to complicated Google, Bing, and Yahoo algorithms and factors like mobile-friendliness, valuable content, and anti-spam rules, Ellis estimates that high-quality SEO should cost from $3,000 to $10,000 a month. If you are a solo or small firm with a limited marketing budget, she gives several other online marketing suggestions including running Pay Per Click campaigns or boosting social media posts. Ellis has suggestions for any lawyer or law firm on any budget and she strongly advises lawyers to spend some time on their online presence. Jennifer Ellis is an ethics and legal malpractice attorney with the personal injury firm of Lowenthal & Abrams, P.C. where she also manages the firm’s online presence. In addition, Ellis is a marketing consultant, assisting law firms with their websites, social media, and other aspects of their online presence. 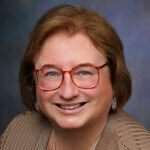 Sharon D. Nelson: Welcome to the 87th edition of The Digital Edge, lawyers and technology. We’re glad to have you with us. I’m Sharon Nelson, president of Sensei Enterprises. Jim Calloway: And I’m Jim Calloway, director of the Oklahoma Bar Association’s Management Assistance program. Today our topic is Website Wizardry: The Right SEO for Your Law Firm. We’re happy to welcome our friend, Jennifer Ellis, who is an ethics and legal malpractice attorney with Lowenthal & Abrams, a personal injury firm. She also manages the firm’s online presence. In addition, Ellis is a marketing consultant, assisting law firms with their websites, social media, and other aspects of their online presence. Thank you for joining us today, Jennifer. Jennifer Ellis: Thank you very much. I’m honored to be here and I was pleased to get the invitation to join you. Sharon D. Nelson: Well we’re tickled that you could be with us. And I guess we better start right at the beginning because to most people, SEO, otherwise known as Search Engine Optimization, is a mysterious creature. Could you demystify it a little bit? Jennifer Ellis: Well, I’ll do my best. Search Engine Optimization – or SEO, which is normally what you’ll see – is the way you get people to your website. So most of the time, you want what’s called organic results, which means somebody goes into Google and they search for something related to your practice area or whatever it is you happen to be selling – because let’s face it, we’re all selling something. And you hope that when they search in terms related to your practice area, such as how do I find a divorce lawyer in Phoenix, that your website will come up, if not first, in the Google results page within the top couple results. And that’s what SEO’s all about. It’s about getting people to find your website so that they will come to it and then hopefully hire you. Jim Calloway: What attracted you to SEO and law firm marketing in the first place? Jennifer Ellis: Well that’s kind of funny, my career has been interesting. It’s sort of led itself, if I can say that. When I graduated law school I went to work at an organization called the Pennsylvania Bar Institute, which was a non profit CLE organization out in Pennsylvania. And they hired me not only because I was a lawyer, but because I knew something about technology – because that’s how I put myself through college, working in a microcomputer room. And some time after I had been there, Facebook became a thing. And a friend asked me, “Could you please join us on Facebook, it will be easier for me to communicate with you and everybody else at the same time.” I didn’t really want to but I said okay, fine. And as I was looking at Facebook, I thought wow, this is really interesting; I bet we could reach young lawyers through social media. And I started experimenting with it on behalf of the PBI, and I got more and more interesting. Now I should say I was already involved in marketing to lawyers at that point, because obviously, in order to get people to buy PBI CLE courses, we had to market to lawyers and get them to come and attend our seminars. So I was already thinking that way and as I started doing more and more with social media, I saw that it really was a great way to not only reach young lawyers, but a lot of lawyers, and I became fascinated by it. And when I left PBI after twelve and a half years, I joined someone and became a consultant and I decided my focus would be on marketing. Because solos and small firms are near and dear to my heart, and I wanted to find a way to help them compete in an affordable fashion in the marketing world. And social media and Search Engine Optimization and all of these things at that point in time were not especially expensive. And it seemed to me that utilization of this kind of technology would really, really balance the field in terms of the ability for solos and smalls to market. So that’s kind of how I started to get into it. And then what happened was people started hiring me to do their websites, and that of course required me to become familiar with how to write content to get people to come to websites. And then the firm that I work for now, Lowenthal & Abrams, they were a client of mine and they said, would you come in-house, we have a lot of work that needs to be done related to our website; and I said yes. And as a result, I became more and more and more involved with Search Engine Optimization because my firm is in a very busy area, personal injury, in a very busy jurisdiction, Pennsylvania – Philadelphia, in fact. So there’s a lot of competition for clients, and you really, really have to be able to get people’s attention. So over the past two years that I’ve been here and the several years before that, it just became necessary for me to really get into the nitty gritty of SEO and law firm marketing, because that’s fundamentally my job. And it’s a very interesting job because it’s constantly changing, and Google’s constantly changing, and social media’s constantly involving. So it’s very interesting and that’s what’s kept me involved in it and absorbed in it because it’s a very challenging thing to do with all of the changes and competition. And it involves legal knowledge, it involves writing knowledge, it involves technology knowledge, and it’s a kick to have found something that lets me put all of those different skills together and not only help my own law firm, but help those solos and smalls that I really like to help give them an edge in their practices. Sharon D. Nelson: Well you partially answered my next question, which is, it used to seem relatively simple to do SEO, and now it seems terribly complicated and terribly expensive and people are paying a thousand dollars a month to have it done. So how did this happen? Jennifer Ellis: You know, it really has become crazy. When I first started working on websites, you could easily – for a thousand dollars a month – hire someone in a relatively minor geographical area to do some solid SEO for you. Because you basically could – I would say – game Google. Now, I was never really involved in SEO at that point in time, so when I first did become involved, my answer to Search Engine Optimization was content, content, content. And that’s what i would say to people, I would say write good content or have someone write good content. And incidentally, I would prefer that people write their own content, and people would come to your site. But most SEO folks, what they did is they would game Google. They would use what was called a keyword stuffing, which is using the same keywords over and over again and they would essentially buy links because Google recognized the value of websites back then based on the number of links you had to your site. So you could just in a day go around and sit there and enter your website in a whole bunch of directories and get a lot of links to your site and push your Search Engine Optimization up, which pushed you up on the search engine results pages, which you’ll sometimes see as SERP. And what happened was a couple of years ago, Google said this is out of hand. The sites that people are finding are keyword stuffed, they don’t have good content, they’re not useful, and the people who are providing good content, they’re not getting their sites seen, and that’s not cool. So Google started to change its algorithm, and the algorithm, essentially, is a coding that causes pages to show up in a certain way. And Google changed it and they started introducing things with names like panda and penguin and hummingbird and this and that; Google apparently likes animal names. I don’t know why, they also like icecream sandwich for Android, so they use weird names but that’s Google, they’re quirky. And so basically, what happened is the content and the quality of the links – not just the quantity of the content or the quantity of the links – became critical. So instead of just having anybody write content, now you needed people who could really write quality content. And now instead of being able to just sit there and enter your website link in directories, you had to write content that would be good enough to encourage high quality sites to link to you. And not only that, but you had to go back and undo all the harm that had been done by the legitimate ways that people were engaging in SEO tactics before. Don’t misunderstand what people were doing 3 years ago was what you did. It wasn’t what would be called black hat SEO, which would be things violating the rules, it was white hat SEO that was perfectly legitimate. Well now, it’s black hat SEO and not only that, but it will hurt your website. So all of this easy stuff, this low hanging fruit, that anybody could do, now, not only does it do you no good, it actually hurts you. So as a result, it’s become so much more time consuming to do quality SEO. And the level of people you have to hire to do the work has increased; so time consuming and more expensive employees. Well, I think that answers your question, it’s going to cost a lot more. Sharon D. Nelson: But it doesn’t make me happy, Jennifer. Jennifer Ellis: No, it’s not going to make anybody happy. If you look on the web about 2 or 3 years ago, you’ll see lots of posts about law firms. “My phone has stopped ringing, my clients stopped calling. I’m not getting any business, I’ve fallen of Google completely or I’m 20 pages down, how do I fix this?” It was crazy, not just in the legal profession, but all over the place. And now, every time Google makes a change, if people haven’t fixed their sites, they’re still experiencing great harm as a result of old tactics of SEO in which people used to engage. Jim Calloway: Well that’s a perfect lead into my next question. We’ve heard the recent announcement that Google made a change about their algorithm involving mobile-ready websites. What does this mean and what does it mean for law firm websites? Jennifer Ellis: Simply put, it means you better be mobile. Google made it very clear, if your website is not mobile when people are searching for you on mobile devices – that’s their cell phones, their tablets; I don’t know, I haven’t seen an Apple watch, but maybe that if you can search the web on it, I don’t even know what it can do at this point – that you’re going to be penalized. That you may not even be findable or you’re going to be much lowered done. Now the analysis is ongoing at that point and I haven’t seen too much about the actual results, because this literally rolled out just two weeks ago. But fundamentally, Google has been warning people for ages that mobile matters. So there’s really no excuse for your website person, if you have one, or if you’re managing your own website yourself – if you’ve been paying attention – to not make your website mobile. Fortunately, it’s relatively easy to create at least a temporary stop gap mobile website. What is a mobile website? A mobile website is one that is viewable on a phone or tablet in such a way that it makes sense. A lot of websites, if you try to look at them on a cell phone, they’re completely unviewable. They’re too big, they’re too small, nothing works, there’s all sorts of issues. For example, if you’re using Flash on your website – which I hope you’re not because it’s something that’s very outdated – that’s not going to work on your iPhone. And on some Android phones unless people have installed certain software; it’s not going to work there either. So Flash inherently makes your website not mobile. But what you can do is there are services out there, and these services, you pay them a fee – normally around $20 a month – and they convert your site to mobile for you; and it’s a drag and drop kind of a thing. You basically decide which pages will show up and in what order they’ll show up and when somebody visits your website, instead of seeing your desktop website, if you will, they see your mobile website. So that’s a quick way around the problem if you haven’t gone mobile yet and if your site’s not too complex. If you’re using WordPress, there are all sorts of Plugins you can use. Plugins are basically little programs that affect the functionality of a WordPress site. There are Plugins you can use to make your website mobile. But your goal should be to create a website that is mobile in and of itself that could be what’s called responsive. Responsive means that it adjusts itself based on the size of the screen that someone is looking at it on, or that it automatically adjusts itself in a proper form. So either one of those things where your website is just as functional in the mobile world as it is in the desktop world. You can test this if you go on Google – Google the search engine – and you search for “is my website mobile compatible,” you will find a tool from Google that lets you enter in your website, your domain, and will tell you if your website’s mobile friendly. So test your website, see if it’s mobile friendly, and if it’s not, call your website designer or just do a search for “making my website mobile friendly” and you’ll find some of these services that will help you make your website mobile friendly quickly. You’ve got to do it, because at least 50% of the market – never mind Google – is searching the web on a cell phone, and they’re searching for people on a cell phone. If they can’t find you on the web, you might as well not exist. Sharon Nelson: Can law firms do SEO’s by themselves or do they really need to hire somebody else and can you tell us how much that would usually cost if you do hire an SEO firm? Jennifer Ellies: You can do SEO yourself if you are in a relatively small market or if the bulk of your clients are not coming from the web, they’re coming from someone else. If you want to, I recommend you go to a site called MOZ.com and look for their free guide on how to do SEO. And I recommend you do that anyway so you get a handle on what all these terms are that SEO companies will be throwing at you. In terms of cost, the days of a thousand dollars a month for SEO are gone. You can probably expect to pay a minimum of 3 to 4 thousand dollars a month to get solid to consistent work to be done. Jim Calloway: Yeah, that’s my first reaction. Let’s pause now for a commercial break, and then we’ll be right back. Sharon D. Nelson: Welcome back to The Digital Edge on The Legal Talk Network. Today, our subject is Website Wizardry: The Right SEO for Your Law Firm. And our guest is Jennifer Ellis, who is an ethics and legal malpractice attorney with Lowenthal & Abrams, a personal injury firm. 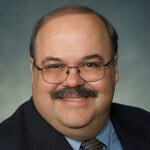 Jim Calloway: Jennifer, pardon me while I get my blood pressure back down after the sticker shock you just quoted on SEO these days, but how do law firms actually hire and pick a good SEO firm and how do they judge whether they’re getting their money’s worth? Jennifer Ellis: Well the first thing you want to do is educate yourself. As I said a moment ago, I recommend you go to MOZ.com and educate yourself on what SEO means so you can have an actual conversation and it’s hard for someone to pull the wool over your eyes. Sometimes a good way to identify a good SEO company is actually to hire a third party to evaluate the SEO companies that you’re considering hiring and helping you pick the right one for you, that’s one way to do it. Another way to do it is to understand that there are no guarantees. Don’t hire an SEO company that says we guarantee you, we will get you the top page of Google for XYZ or for XYZ number of the terms. Those days are gone. There’s no guarantee and there’s no promises and that’s not really what SEO is about anymore anyway. Google recognizes that people search by complex phrases now more than individual terms. So the value of being at the top of Google for “custody law Phoenix,” is not what it was. You would want something more like the phrase I mentioned earlier, “How do I find a custody law attorney in Phoenix?” That’s a more valuable phrase. So you want SEO people who understand the changes. You want SEO people who are willing to give you data. I was always surprised when I first got involved in this profession that people are not sharing Google analytics, which is how you track your website. They’re not talking with their clients about how many leads they’re actually getting, as opposed to just traffic to the website. You want somebody who’s result-oriented; you want somebody with experience. You’re probably not going to get somebody who’s going to be willing to give you a guarantee again because there’s no such thing as a guarantee. You’re going to get a lot of come ons from people using GMail.com accounts, promising you all sorts of things. I get those almost every day on my various websites. Don’t hire somebody from a company like that. Ask for references from other law firms, make sure they have experience with law firms. Also check and see if they’re competing with themselves in your market. If you hire somebody to do family law for you in your market, they really should not be doing another person in family law in the same market. They should be doing it in different markets, that’s fine, especially when we’re talking about this high end expensive SEO stuff. If you’re just having someone write you minor content, they’re probably going to write for a number of people in the market because it’s a different kind of arrangement. So you want to find out all those sorts of things and you want to sit down with them and say exactly what are you going to do for me for this amount of money and get it in writing. We’re going to do XYZ, we’re going to give you this many hours every month, we’re going to respond this way if you have a problem, and so on and so forth. Jim Calloway: I work with a lot of solo and small firm lawyers who have very tight marketing budgets. So I guess I want to ask you, does every law firm need to do SEO? Jennifer Ellis: No. Not every law firm needs to do SEO. If you’ve got a really tight marketing budget, you’re going to want to figure out the best way to spend your money. That might be a boosting post on Facebook or buying Google AdWords as a way to direct attention. It might be writing quality content on your own. You have to look through the reality of what you can afford, because like I said, the thousand dollar a month budget for the most part is not going to get you much. You might be able to get somebody to write a couple of good articles for you every month with that, and you might have a slow process and slow buildup in your SEO. But if you can write your own content and you write quality content that’s going to attract attention and get people to provide links to your website, especially if you’re in a small market, you don’t necessarily need to hire someone to do your SEO, you just have to balance your needs against your budget. Sharon D. Nelson: Well I certainly agree with that and I think probably my own company, Sensei Enterprises, is a good proof of that scenario because the blog that is published – we actually have two blogs – so there are at least 8 new posts every week between the two and that has meant that our blog actually gets more hits than the website itself. But of a lot of them, of course, transfer over and it creates great branding as well and it moves you up in the Google rankings. It also brings in a lot of reporters, so that’s also something most lawyers would love to have. So, Jennifer, tell me about social media. How does that impact SEO and what do you think about using social media ads? Jennifer Ellis: First of all, I think you are a perfect example of people who don’t need SEO. Your content is high quality, it’s unique, it’s often funny, you have good names. I would commend your blog, in fact, to people, because it’s exactly the kind of content that’s shareable, and that’s what you want on social media. You want content that will interest people, that will encourage people to click on it and read it and then hopefully go to your website. Because even if the people don’t hire you, the more people you have visiting your website, the more the impact is going to have on your search engine result pages. I bet that your website’s pretty high up for a lot of stuff, and it’s stuff that relates to your practice areas – the areas that you do in your business when I say practice areas, of course. Now as far as ads, I think that you can boost a post. And boosting a post on Facebook means you’re sharing it to a certain demographic. So let’s say you write a good post based upon a blog post. So you might write a blog post on something related to e-discovery or sharing. And then you’re going to share that post on Facebook and Twitter and LinkedIn and all those sites. And then what you’re going to do is you’re going to boost that post on a certain demographic on Facebook for $50, $100, $200. And instead of just twenty or a hundred or a thousand people seeing that post based on how many followers you have, you could have ten thousand, twenty thousand, fifty thousand people – potential clients – see that post for a relatively low cost. And that’s when I said earlier, there are ways around hiring an SEO person if you don’t have the budget for it, and that’s a great way. Sharon D. Nelson: Well that sounds great to me, and Jennifer I want to tell you how much I always enjoy hearing you speak on websites and Search Engine Optimization, so we thank you very much for being our guest today. Jennifer Ellis: Thank you for having me, I enjoyed chiming with you.